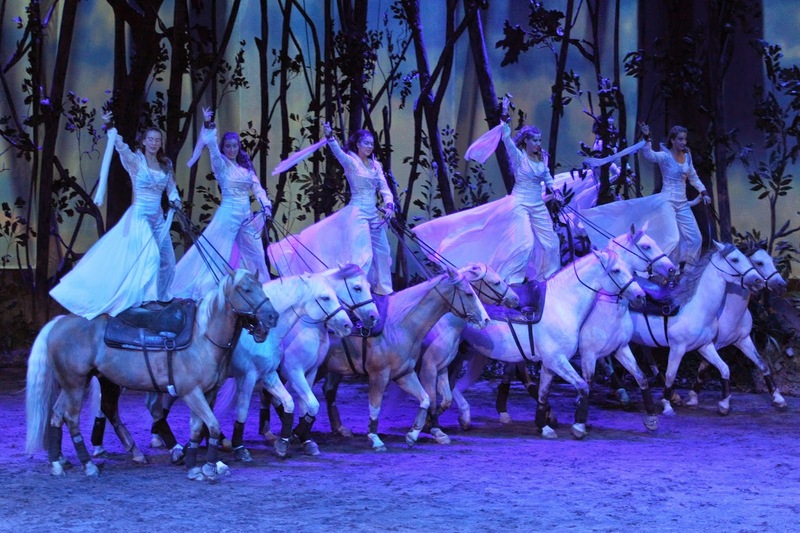 They were the stars at Cavalia’s Odysseo which opened in Calgary last night. Unfortunately for me, I am not a fan of animals, horses, or living things in particular so I can’t accurately say whether or not the show was fantastic – from my own personal experience. However, if you are reading this for ‘should I or should I not’ information, you probably have some kind of horse interest already. I will tell you about the show based on the noises I heard from the audience. Their cheers and gasps at certain horse things confused me, but should help you in your decision whether or not to go. 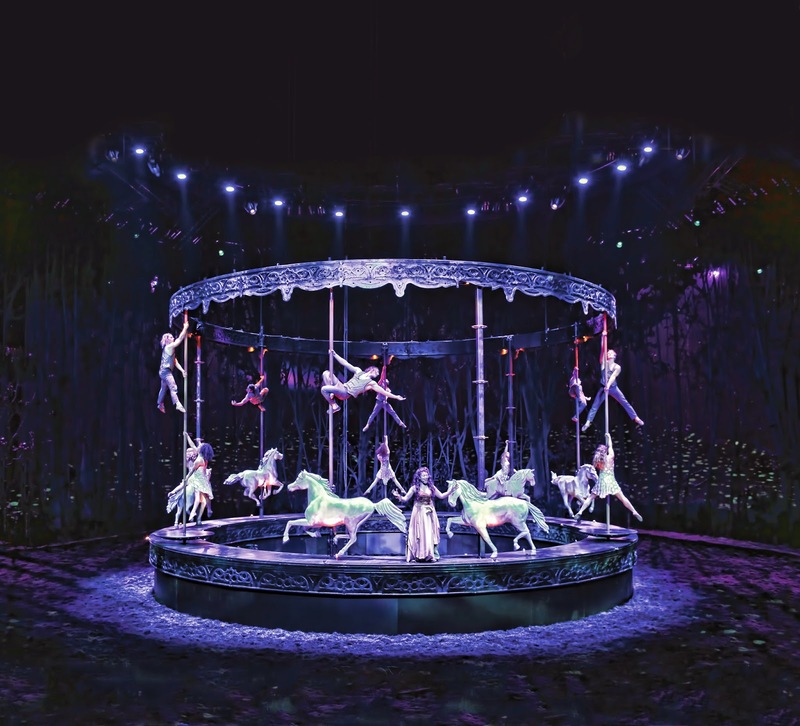 A bunch of horses running around in a circle started the show – AMAZING, according to the audience. Clapping, cheering, gasping. I literally thought there was a horse giving birth in the background and I was missing part of the show. I wasn’t, it was just horses running. The audience also loved when the horses ran around in a windmill formation, did quick pivots, were trotting and walking in circles. It was kind of like being a non-parent at a two year old's dance recital. All of the parents are thinking, “Oh my God! My kid is able to retain information and do a routine! I am so proud!” and I am thinking, “If one of these kids doesn’t do a back flip soon, I’m leaving.” People who get horses, understand how great the show was. People who don’t (me), are less impressed. Now for those of you who are like me and are not fans of the four legged, there were some spectacular human moments as well. The acrobatics, aerial and pole dancing were all fantastic. The music was live and the singing was on point. Then there were the men on stilts who were by far my favourite part of the show. They just seemed like fun guys, we should hang out. The riders were also pretty fascinating. Standing on their horses, flipping around them when they were running and being extremely enthusiastic when faced with the blank stares of the Calgary crowd. Don’t worry riders, by the time the show closes, you will be used to the barely-there crowd participation that plagues this city. That’s just how it is. That’s about all I’ve got. My notes were very minimal as I was tending to my plus one who was, unbeknownst to me, allergic to horses and had some kind of reaction to the fact that 70 horses were running around in front of her face. Don’t they make medicine for that? Get your life together woman. Odyesso is running from now until June 1, 2014 White Big Top at Canada Olympic Park in Calgary. For tickets click here. 3) a lot of minor things, like extra-expensive parking on the parking lot that is usually free. I thought the show was Great but to charge $20.00 to park is a big cash grab. Also transportation by bus to the tent was completely inadequate. Not enough buses in a timely fashion so people were standing out in the rain and snow.